A bunch of ex-friends, keeping their all differences aside, join hands to save the orphanage where they had spent some most memorable moments of their lives. 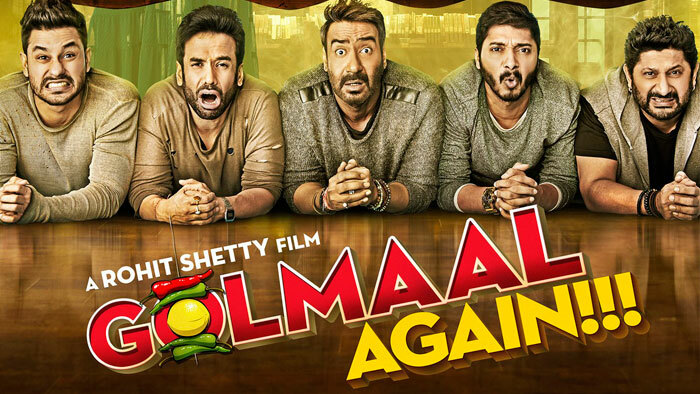 Golmaal Again is a horror-comedy film revolving around a bunch of friends who have just come to know that the palatial house they are living in on rent is haunted by a ghost. Ajay Devgn to collaborate with Anees Bazmee after 16 years; signs his comedy film, ‘Saade Saati’! Supab, fantastic, imaging, horror and very very very funny...!